There's a lot of auto advice in AZ right now on how to save money on gas. Some of it is good advice. Some of it isn't. Some of it is myth. And it may well be a scam. Plain and simple. When someone offers you a product designed to save money on gas, ask yourself, “Does this sound too good to be true?” If the answer is yes, do more research. The internet offers us a convenient and quick way to research someone's claims about gas savings. Tucson drivers can usually find out in only minutes whether that claim is questionable or not. Chances are other Tucson drivers have already tried what you're being offered. If you find evidence that others feel they have been scammed, you should be wary of becoming the next victim. There aren't any pills, magic or otherwise, that you can drop into your gas tank to improve your gas mileage. Drop in enough of those pills and you can actually harm your vehicle. The last thing you need is a bunch more sediment or unknown, dissolved additives in your fuel. There actually are proven, sensible ways that you can maintain good gas mileage, however. Good car care and consistent preventive maintenance are the keys to good fuel economy. An oil change at Advantage Auto Repair & Transmisson in Tucson and a new fuel filter, when needed, will keep your engine running efficiently, which will translate to good fuel economy. It may be mundane, but it's solid, proven advice. So be smart. Listen to advice from qualified Advantage Auto Repair & Transmisson professionals, and stay away from unverified “magic” and conspiracy theories. Your wallet—and your vehicle—will thank you in the end. Today's tires and wheels offer a lot of options for every Tucson driver's style, habits and driving conditions. 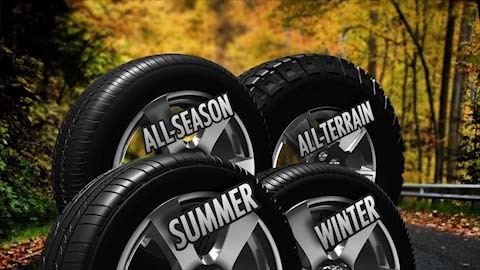 Tires are designed for high-performance in winter or summer and even come in a long-wearing variety for all AZ seasons. Tucson off-roaders should be excited about the options available to them as well. The tread on off-road tires is designed to handle the wear from bumps and rocks. The tires' high profile protects rims from damage. But what if you own an SUV but aren't interested in off-roading around AZ? You can change out those high-profile beasts for a lower, wider look if it suits your style. Advantage Auto Repair & Transmisson tire professionals can offer great auto advice on how to choose tires that match your needs and style. If you just need to purchase new tires, a tire professional at Advantage Auto Repair & Transmisson can also help you select the tires that are best for your driving needs and habits. The right tires will protect you and your vehicle on the road. So personalize your vehicle, but don't forget that good car care will keep that sassy ride on the road in Tucson a lot longer. 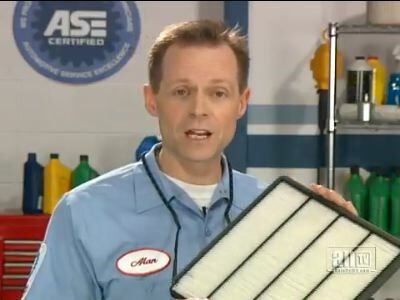 Here is a questions for Tucson drivers: What is a cabin air filter? Now not all vehicles in the Tucson area have cabin filters. They are fairly new on the scene in AZ. About 40 percent of new vehicles come with cabin air filters, but the number is growing every year. Cabin air filters can make for a very nice driving environment for Tucson. Your car can be a haven during AZ allergy season with very little dust and pollen getting into the cabin. However, like all filters, your cabin air filter eventually gets clogged. When this happens, your heating and air conditioning flow can become restricted. The filter can even get kind of smelly. Check your vehicle's owner's manual for recommended replacement intervals. Often, the owner's manual forgets about the cabin air filter, so ask your friendly and knowledgeable Advantage Auto Repair & Transmisson service advisor for a recommendation. It's usually every year or 12,000 miles/19,000 kilometers. Change it sooner if you drive in dusty Tucson conditions or if you start to notice an odor from your ventilation system. So, Tucson drivers, keep your cabin air filter clean. It may not help with your brother-in-law in the backseat, but it will make your driving experience more enjoyable.